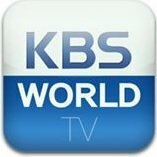 News TV Channel / KBS World is a South Korean television channel operated by Korean Broadcasting System aimed at international audiences outside South Korea. It was launched on July 1, 2003 and mainly broadcast in Korean, but subtitles in English, Chinese and Malay are also provided. The HD version of the channel started broadcasting on September 3, 2012 for the regions of Asia,Western Europe, Africa and Oceania. The SD version will still be available for the regions that are not affected by the change.